All winter we looked at our old ponds and thought about how we could avoid creating the “pools of death” again. Spring rolled around and the fish moved from the garage aquarium back into the small pools. 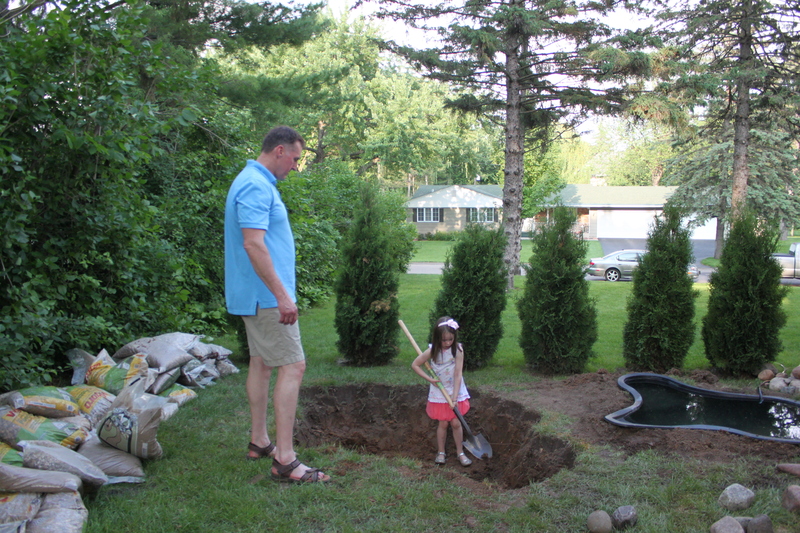 This time we did a better job managing the little ponds. 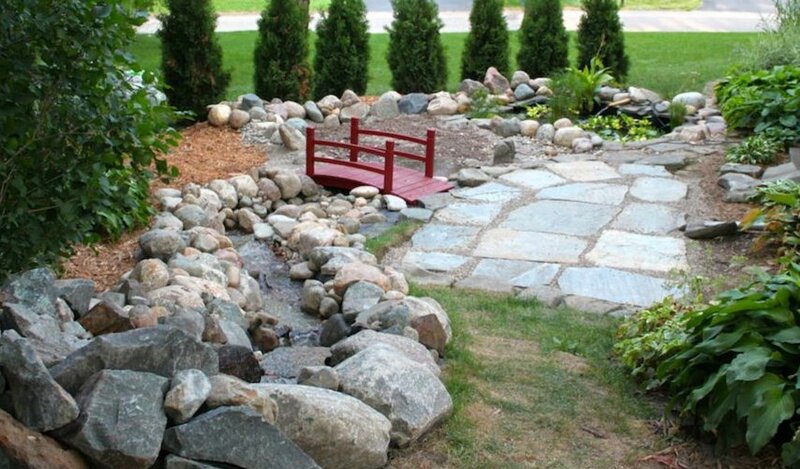 We looked around for a different site to have a larger pond and a waterfall. 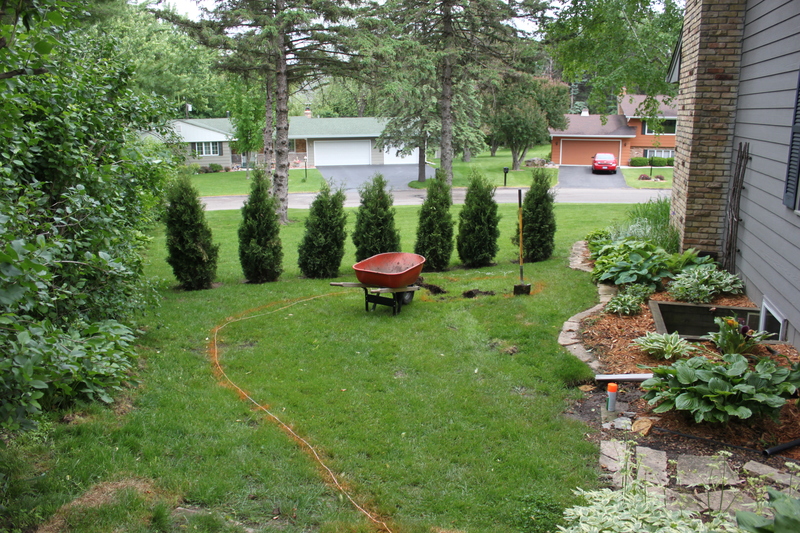 We purchased a larger preformed pond that held about 300 gallons of water. 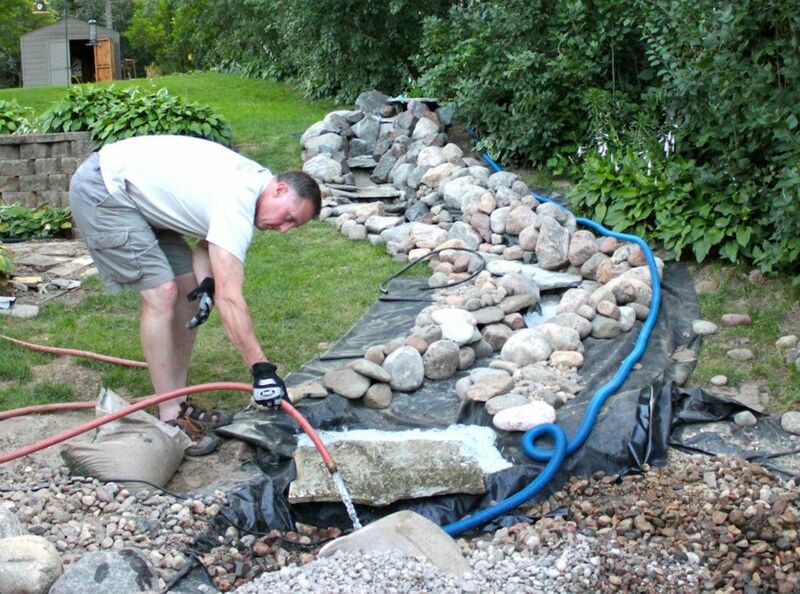 We also wanted to have some running water so we researched a pondless waterfall. 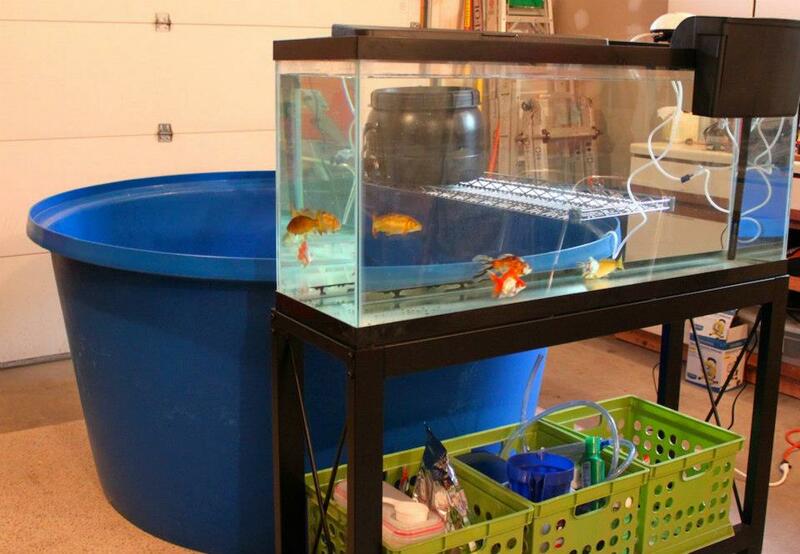 By this time, the three koi and three goldfish were swimming around in their new home. Moving around rocks occupied a lot of time. 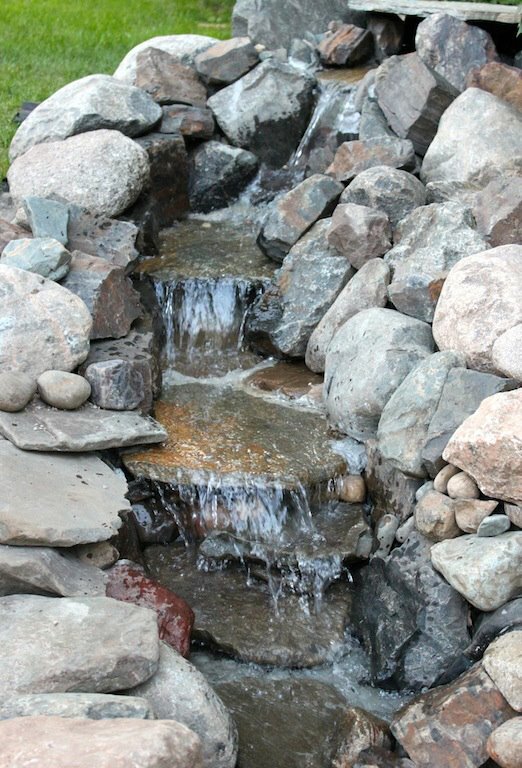 My husband had never built a waterfall before but read a few books, did some research on the internet and tackled the task with enthusiasm. After moving 8 or 9 tons of rock, my husband was pretty tired. The rest of the summer we added more plants and also some more koi. One really big eye opener was a koi show that we went to in Chicago during the summer. Who knew that there were koi shows (I guess we should have known, just never thought about it.) The big thing was seeing really large, beautiful koi and talking to the exhibitors. Yes we had been depriving our koi of food. I really should have been feeding them premium koi food and feeding them a lot more. 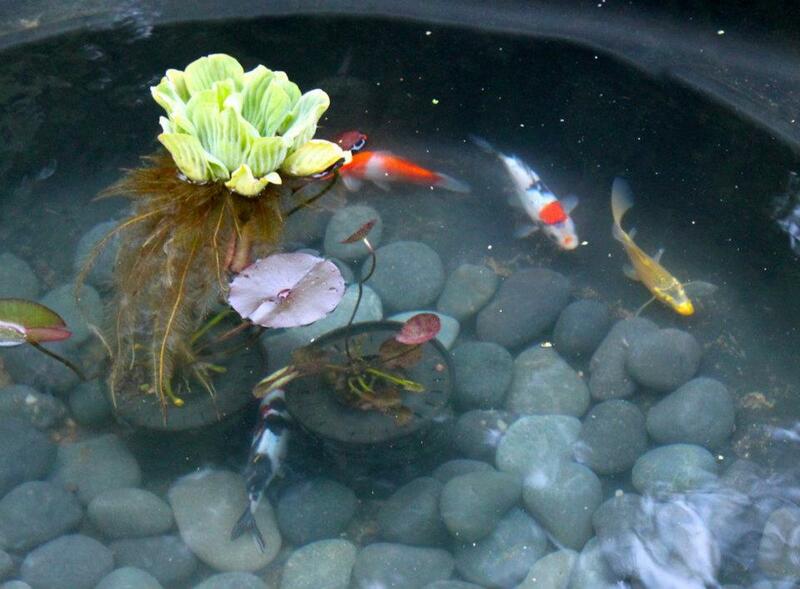 I now feed my koi Tomigai food which you have to order online or find someone locally who can sell it to you. After three weeks on the new food, our koi were starting to look better than ever. Below from left to right are Tito, Gunga Din, Frankenstein, Spapembo, Pinto and Hotchiko. 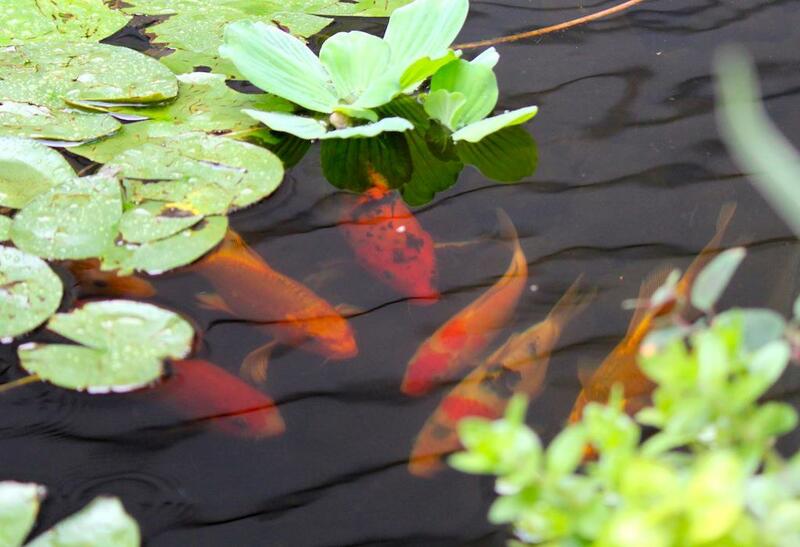 We often drive through Iowa for business and stopped in Toddville, IA at Bickal Koi Farm one Saturday. Another perfect example of a really nice guy. (You can find them at http://www.bickal.com). They weren’t open per their advertised operating hours so I called the listed phone number, which happened to be a cell phone number. They were at a wedding but told us to walk around the property all we wanted. 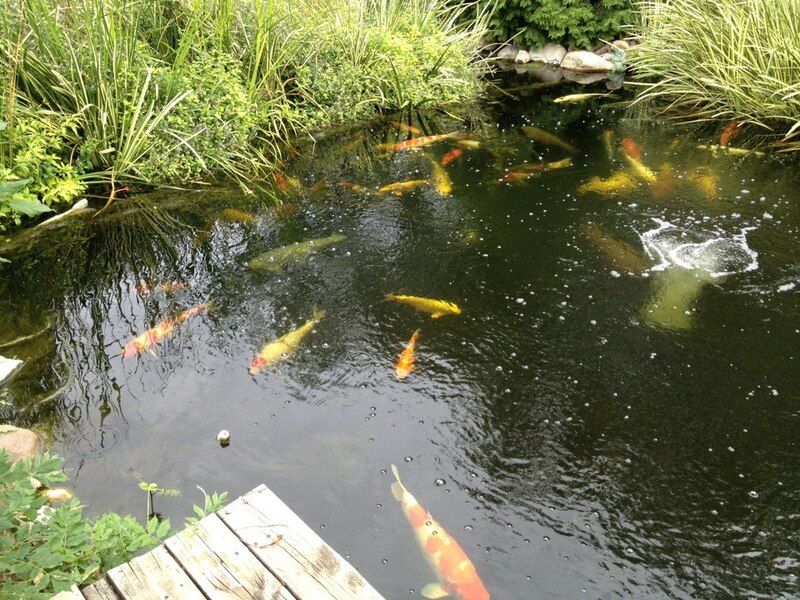 We saw some larger ponds, more interesting filter systems and some beautiful koi. We really loved seeing the plants right on the edge of the pond. The koi were also very friendly and curious to see us as well. I’m sure they thought we might have some tasty treats to hand out. My koi at this point were a skittish lot. They really didn’t seem to want to race to the feeder and they always looked worried. I was very disappointed because I had read so much about koi eating out of your hands. So once again we were visiting Koi Acres to buy some food and talked to Devin about our unfriendly koi. 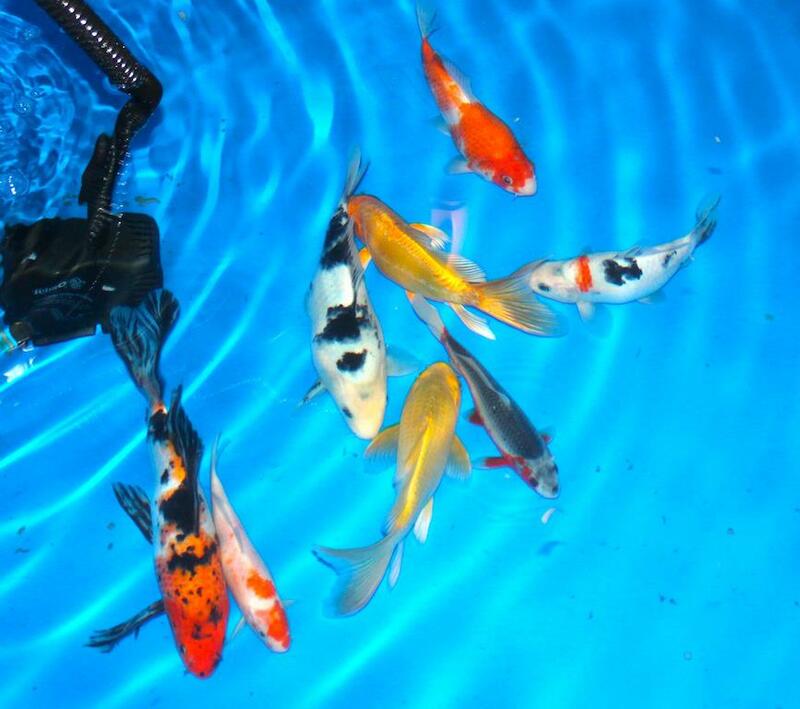 He recommended that we try some chagoi koi which tend to be smarter and friendlier than the other types of koi. We came home with Tarzan (the gray one and not a chagoi), Lucy (coppery brown), Ethel (yellow brown) and Cha-Cha (sparkly brown). We added them to the mix and immediately they adopted the unfriendly behavior of the koi pack. 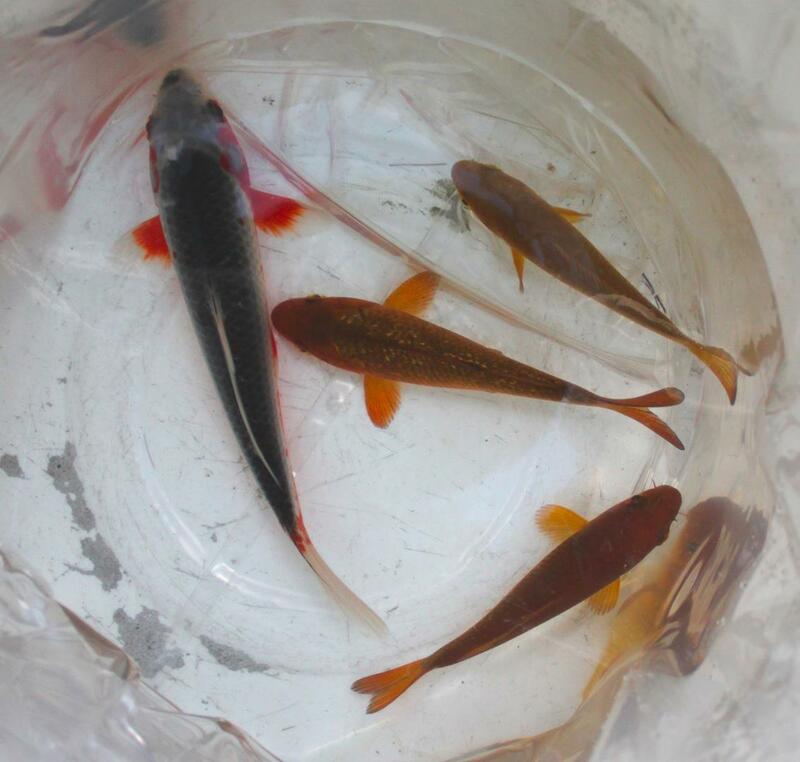 Since our pond was too shallow for the koi to remain outdoors we once again moved them indoors into the garage. 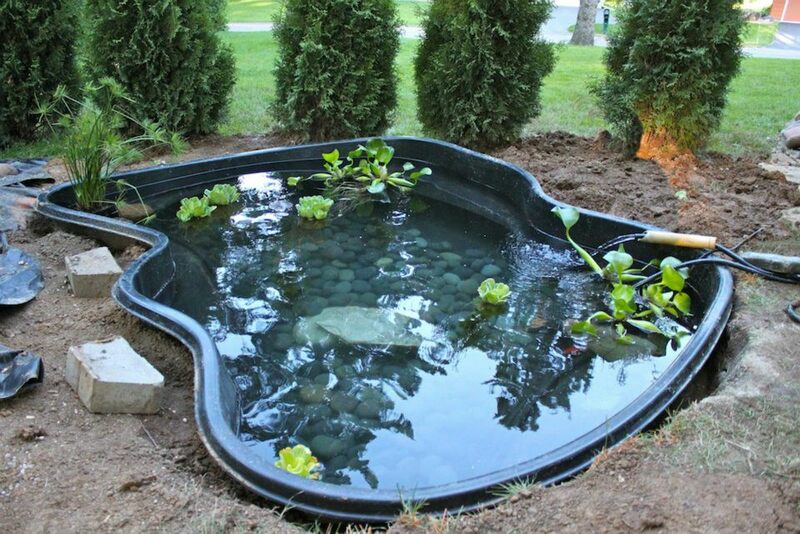 We had purchased a large polyvat that could hold about 300 gallons of water and the larger koi. I put the two goldfish, Cha Cha, Lucy and Ethel into an aquarium. My goal was to retrain the chagoi koi to eat at the surface out of someone’s hand. Once the koi had moved indoors we thought that having a pond where the koi could winter would be really nice. Plus the number of koi dictated that a larger pond would be necessary (see we did learn from our pools of death experience). 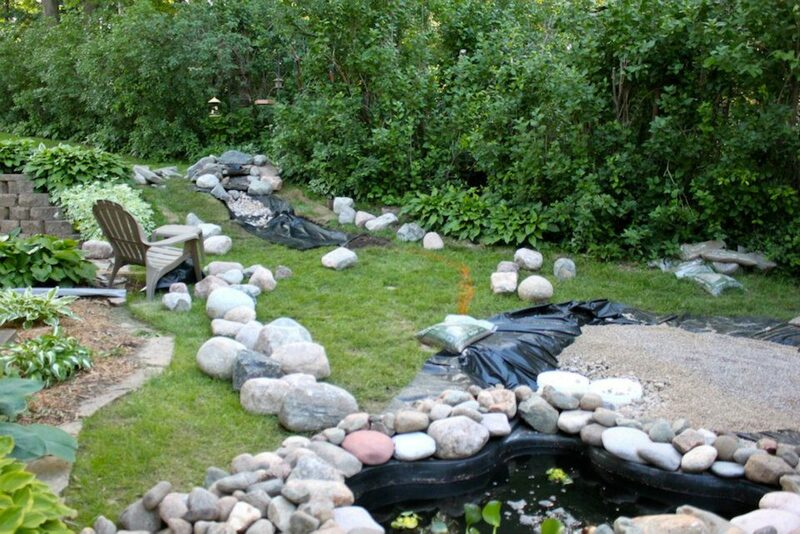 A number of people we talked to also said that the waterfall entering the pond would not be too strong for the koi. 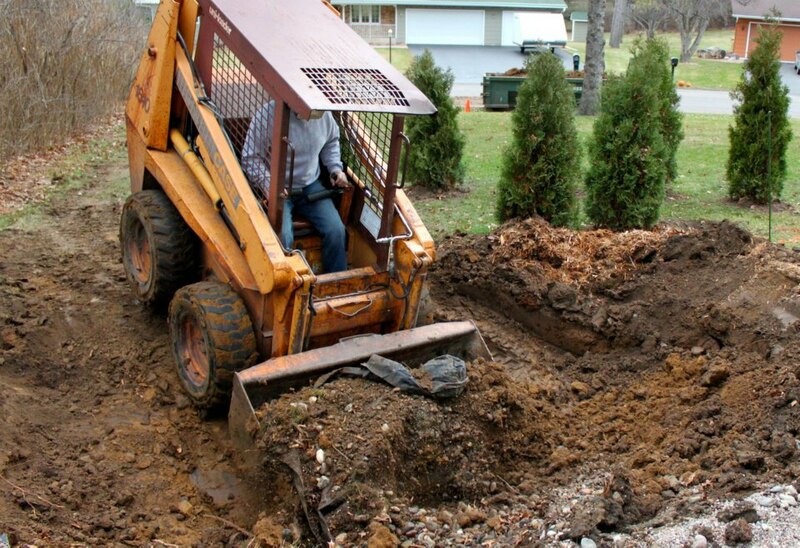 So we began to tear up our summer work and on Thanksgiving Day 2012 a contractor came and dug a deeper hole for us to work on after the winter. 1. Koi fish need to be fed quality food and lots of it. There is actually a science of feeding certain types of feed depending on the time of the year. In preparation for the winter, somewhat dormant period, you should use a different feed than the summer food. 2. Chagoi koi are not necessarily the friendliest or smartest fish. 3. Naming fish gives them a little personality. 4. Moving 9 tons of rock is exhausting. 5. Mexican stone pebbles are not the best rocks to put at the bottom of a pond.